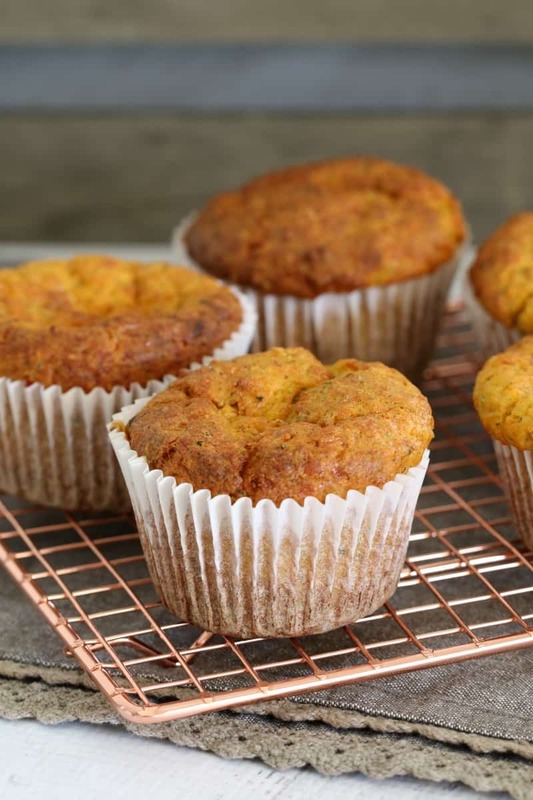 The most deliciously easy savoury muffins made with carrot, zucchini and ham. They’re perfect for school lunch boxes… and are freezer-friendly too! 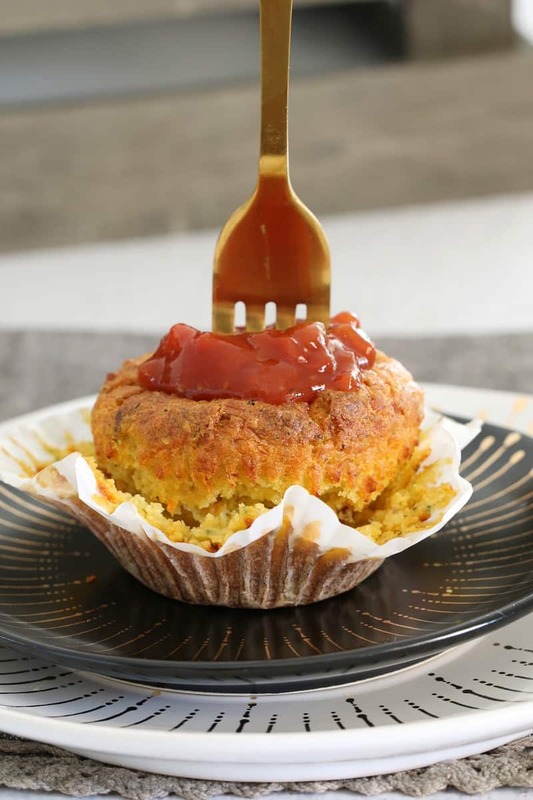 If you’re after quick and easy savoury muffins you’ve come to the right place! These are absolutely delicious, so simple to make AND they’re freezer-friendly. Did I mention that they’re also GREAT for lunch boxes!? 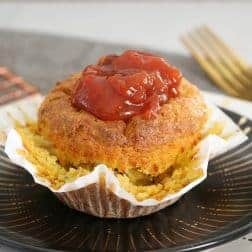 To make these yummy little muffins, you simply grate the vegetables (ooh yep, there’s healthy little veggies hidden inside these babies! ), mix together all of the ingredients and bake. Too simple, right!? 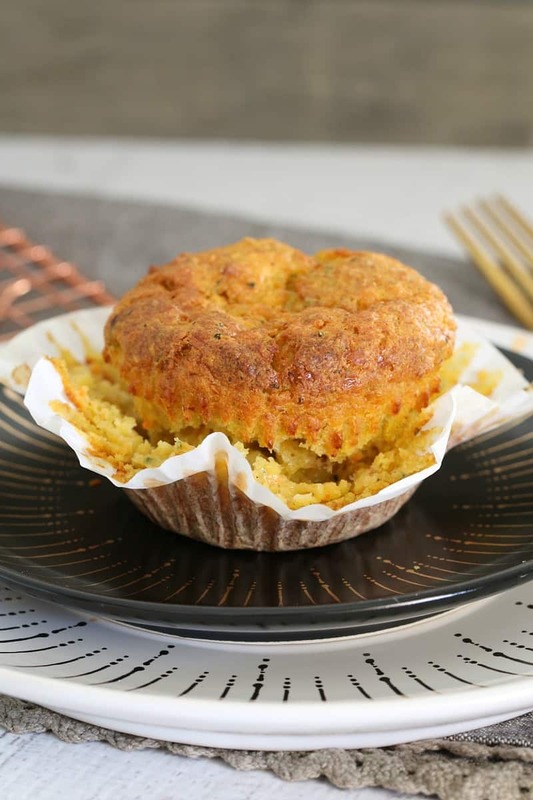 The only trick to these easy savoury muffins is to make sure that you squeeze out ALL of the liquid from the grated vegetables. Doing so will make your muffins lovely and moist, but not ‘gluggy’ (if that makes sense!?). So squeeze, squeeze, squeeze away! You can serve these on their own, with a dollop of chutney, warm or cold… they really are super versatile. They make a great alternative to a sandwich too! So there you have it, my quick, yummy and easy savoury muffins. These are sure to be a hit with the whole family! 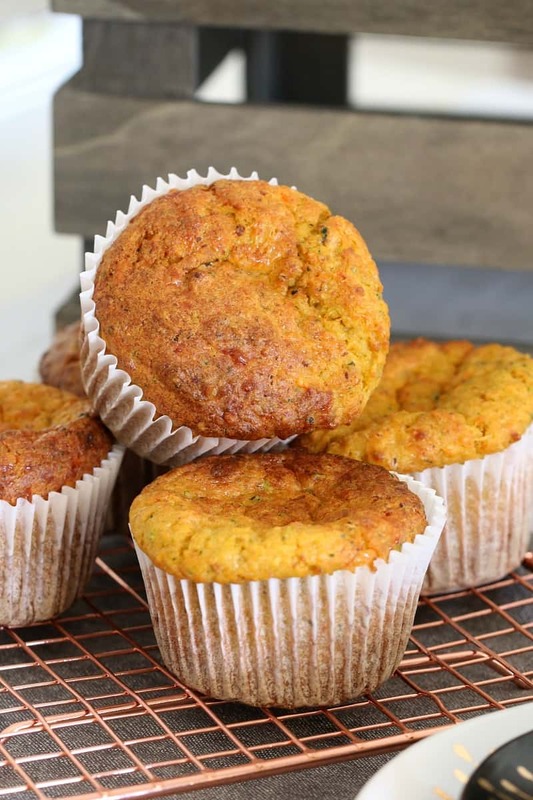 The most deliciously easy savoury muffins made with carrot, zucchini and ham. They're perfect for school lunch boxes... and are freezer-friendly too! Preheat oven to 180 degrees celsius (fan-forced). Squeeze all of the excess liquid out of the grated zucchini and carrot and place into a large bowl. Add the chopped shaved ham, self-raising flour and grated cheese and mix to combine. In a jug or small bowl, whisk together the eggs, milk and melted butter. Pour the liquid into the bowl and fold through gently until just combined. Spoon the mixture between the prepared muffin cases. In order to ensure your muffins aren't 'gluggy', make sure you squeeze out ALL of the liquid from the grated vegetables. These muffins do tend to stick to the liners a little, so feel free to use greaseproof muffin liners if you'd prefer they came out easier. Once completely cooled, these muffins can be frozen. 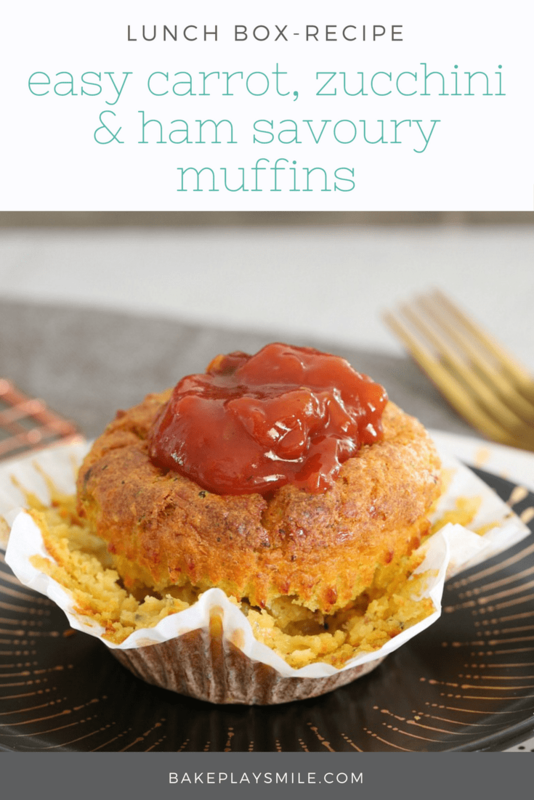 The most deliciously easy Thermomix savoury muffins made with carrot, zucchini and ham. They're perfect for school lunch boxes... and are freezer-friendly too! Place the zucchini and carrot into the Thermomix bowl. Grate on Speed 8, 10 seconds (or until finely grated). Remove from the Thermomix bowl and place into a sieve. Squeeze out any excess liquid and set aside. Place the cheese into the Thermomix bowl and grate on Speed 8, 10 seconds. Add the shaved ham and chop on Speed 6, 5 seconds. Place the zucchini, carrot, self-raising flour, eggs, milk, melted butter, salt and pepper into the Thermomix bowl and mix on Reverse, Speed 4, 5 seconds or until just combined (use the spatula to assist). Damn, these muffins look so good! I really love the mix of ingredients you used, so I’m definitely going to try it myself. Thank you for sharing it! hi there – would these work with whole wheat flour? cheers! Hi there, I haven’t made them with whole wheat flour but I can’t see why not!